Hi everyone! We are coming back to our normal Monday spot with an exciting selection of news, articles, projects and much more! Women of Wearables is happy to announce collaboration with the micro:bit Educational Foundation, which aims to enable children around the world to become inventors! UCL’s computer science department collaborated with the BBC to help shape an innovative IoT toolkit to inspiring the next generation of children. A first impressions overview of the micro:bit. Writing a reaction time program in the APL language, running in a Raspberry Pi connected to a micro:bit. Using a micro:bit as bridge to an Arduino-based Circuit Playground. The journey so far from the micro:bit Sri Lanka User Group. A miniature model of Marvin from the Hitchhiker's Guide to the Galaxy movie, controlled by a micro:bit. Node.js project to use the BBC micro:bit as a slide clicker. Please Note! This is an Alpha version for testing purposes, so feedback would be greatly welcomed (GitHub issues would be a good place). 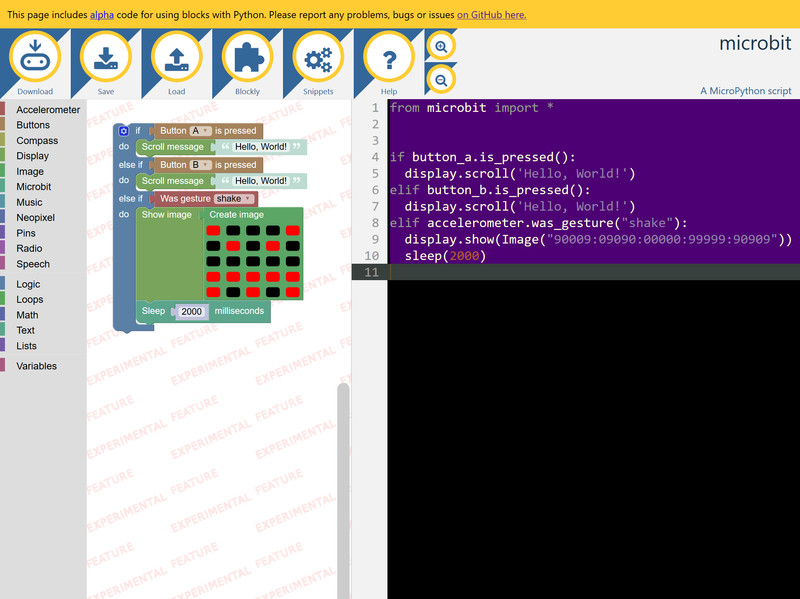 Atom package to support MicroPython development on the micro:bit. 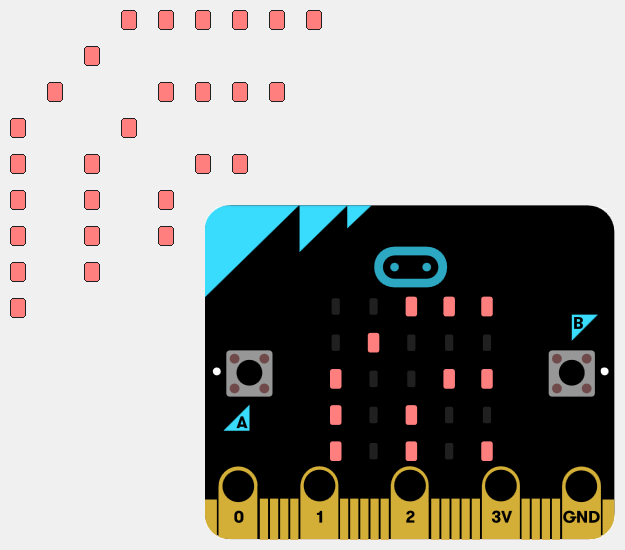 Making a micro:bit cross stitch pattern. micro:bit MicroPython library to use an SSD1306 OLED display as a 7 segment display.